UK schools now spend 900m on education technology every year in order to teach the next generation basic digital skills. Once upon a time, classrooms were blackboards, and textbooks but with the fast ever evolving technology now in place all over the world, education has to deliver messages to young children in a more modern way. The global market of education technology is estimated to be worth 129bn by 2020. Teachers now have many ‘EdTech’ tools to demonstrate maths and English in a new more current form. Kahoot! Was introduced to the UK and US Apple app stores in 2013 and now has 50 million users every month. On the Kahoot! 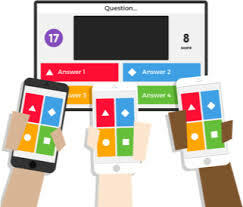 Platform teachers can create their own quizzes and games or choose from games already existing on a shared screen. There could be a timed multiplication tables quiz, a flag quiz or questions about the water cycle. Students can earn points and also compete against other classes in other parts of the world. An estimated 830 million players use this app for education and also businesses use it to create their own training sessions. The co-founder Johan Brand says the app is successful as it is like an inclusive classroom. Teacher give the thumbs up when their pupils are playing a Kahoot game, may it be expressive and loud, as this is a positive noise bringing students together. Technology helps teachers at work with their heavy workload, automating paperwork which has taken up so much of their valuable time. Teachers want to teach and not be pushing paperwork around. The platform helps teachers talk with other teacher and share resources. Though tech is being taught in schools, Tech Will Save Us supplies toys which children build and bring to life through electronic and programming. 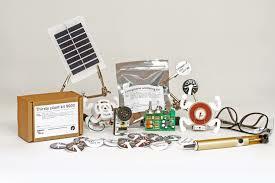 Their products not only go to schools but also to individuals. The CEO Bethany Koby explains that the world or learning and play are becoming closer together and more integrated. Schools have come a long way from chalk and writing lines, schools have more interesting and unique ways to teach their children, the tools to take them into adulthood.